Where's the tastiest coffee in New Haven? The cheapest? The strongest? It's all right here. It’s the first thing we want when we wake up in the morning, the thing that completes every meal, and the thing that gets us through our days and our all nighters, keeping us from turning into zombies. Coffee is a central part of life. It’s the second most traded commodity right after oil. So if you think about it, people fuel is almost as important as the machine fuel that is used for some of the most important everyday tasks—like powering the cars that take us to the people fuel. 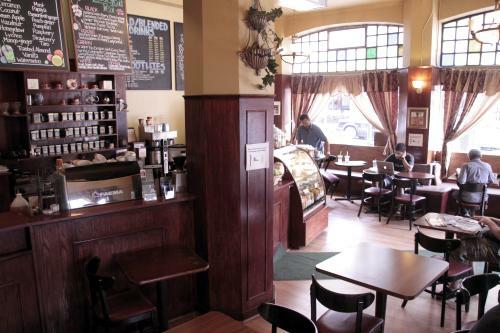 Realizing the importance of coffee and its centrality in our lives, I set out to find the best cup of Joe in New Haven. The most obvious place to start was Jojo’s. This little coffee shop is tucked away on the corner of Park and Chapel, and it’s eclectic style is interestingly juxtaposed with its homey atmosphere. I ordered a large cup of coffee and quickly realized that the laid back feel of the establishment did not carry over to its signature beverage. Jojo’s coffee was strong in many senses. Its aroma and flavor were bold, as was its caffeine content, which I realized at 3am while I laid in bed staring, wide-eyed at the ceiling. If you’re looking for a cool place to hang out, or coffee that tastes good and packs a punch, look no further than Jojo’s. Next I headed over to the corner of Chapel and College to check out a new angle on an old favorite. 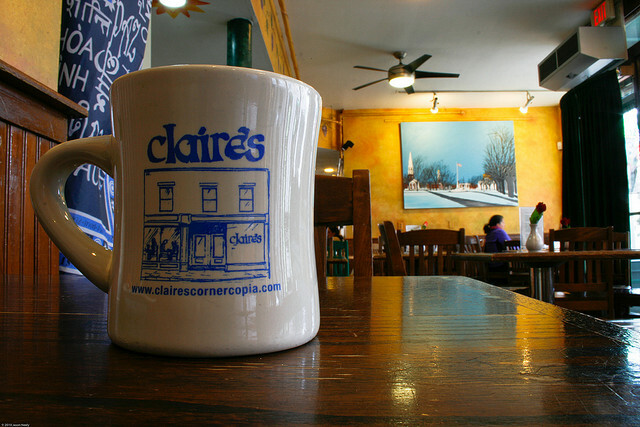 Claire’s Corner Copia, a gourmet vegetarian restaurant, is very popular for its excellent baked goods (CAKE) however, if you’re looking for the perfect savory complement to a sweet slice of Lithuanian coffee cake, Claire’s has plenty of options. From a list of five or more brews, I chose a sweet hazelnut roast and was immediately swept away to better times in a cabin by a lake in the winter of my content. While the flavor of the coffee was magnificent, you’d do better to go for a sugary baked good if you’re looking for a pick-me-up. Later that week, I was in need of a caffeine boost at about 10pm and ventured into Blue State on York Street, which is open late. I ordered a light roast, which, a barrista informed me, has more caffeine than the dark roast. Frankly, Blue State coffee has more everything than other coffees in an overkill sort of way. Its extreme flavor and pungent after taste were bordering on unpleasant. 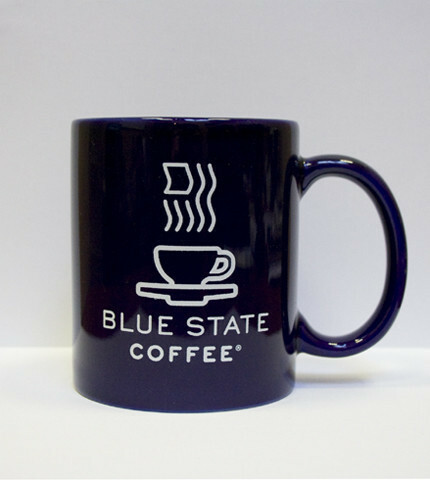 If there was a coffee in New Haven that was the embodiment of that guy who talks way too much in section even though he didn’t do all of the reading, it would be Blue State coffee. Nevertheless, it seems that Blue State is a student favorite so I’ll chalk it up to being an acquired taste. Finally, in what will now forever be referred to as The Great Coffee Adventure of 2014, I hit three local coffee dispensaries in a row in under 20 minutes for direct comparison. The first was Willoughby’s at its York Street location. I had never had Willoughby’s coffee before and, to be honest, I was skeptical as I walked into the colorful, brightly lit cafe to Super Freak playing over the speaker system. However, of the six coffees referenced here, Willoughby’s was objectively the best. Their brew brings out all of the sweetness of a coffee bean and has a pleasantly aromatic after taste. 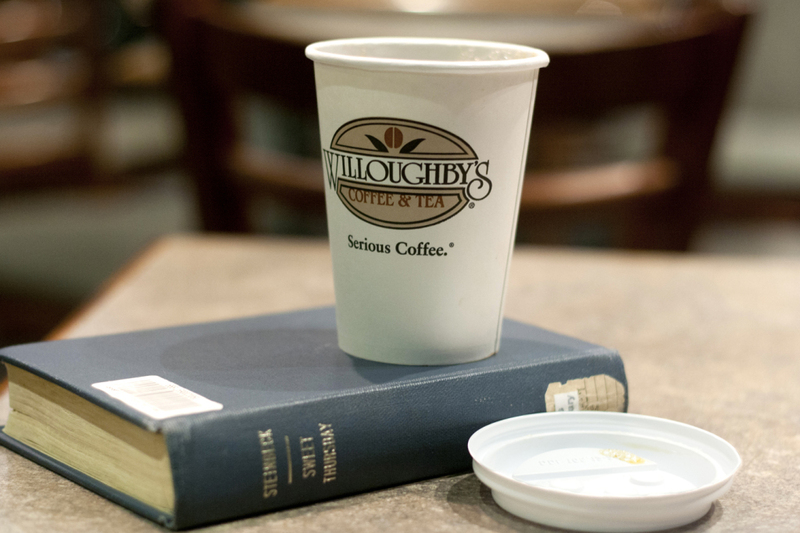 In a world of watered down ghost coffees, Willoughby’s rises above and delivers a truly quality cup of Joe. Next, it was around the corner to 1140 Chapel Street to see if the coffee at Book Trader Café could compare. 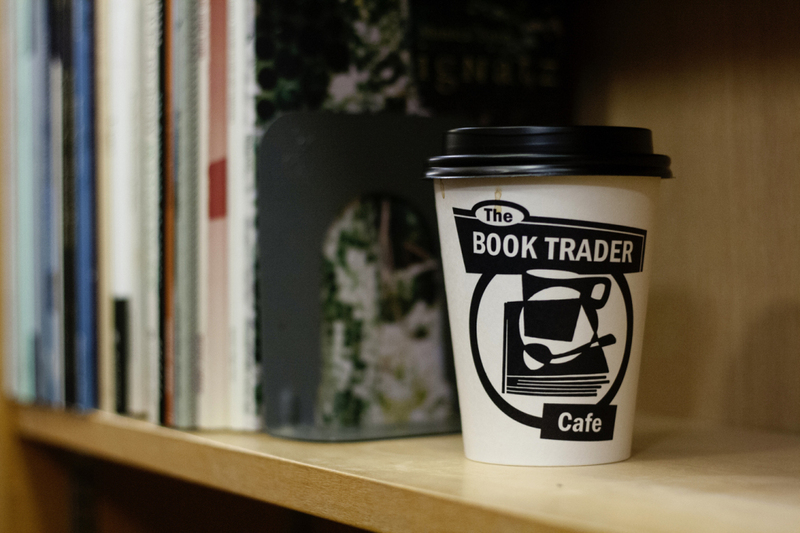 The appeal of Book Trader is the intermingling smell of freshly brewed coffee and old literature. Half of the shop is a used book store while the other half contains a simple sitting space with plenty of window seating for people watching. The coffee had a distinct flavor that wasn’t bad but wasn’t remarkable. I do exuberantly recommend the vegan chocolate cake. Who knew flourless, eggless, cake could be so good? I ended my adventure across the street from The YUAG on Chapel Street at the Atticus Bookstore Café, a restaurant and bookstore that has the deal of a lifetime—one dollar small coffee to go. 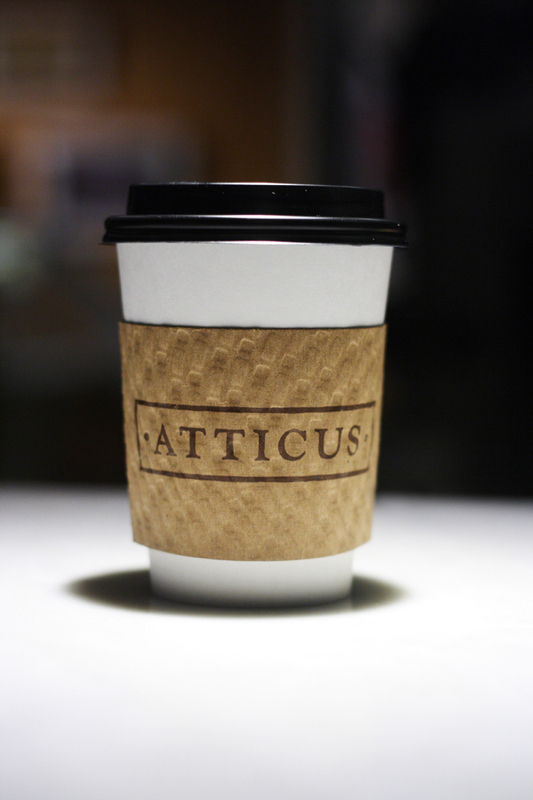 The beauty of Atticus coffee is in its simplicity. It tastes like that time you accidentally brewed an exceptional cup of coffee with a uniquely potent after taste in the coffee maker in your kitchen at home. Its affordability and reminiscence of home makes a cup of Atticus coffee the best bargain in town. So, next time you’re looking for some people fuel in the New Haven area rest assured that you’ve got some excellent options.